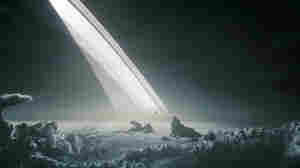 December 31, 2013  This New Year, stop to consider the point of it all with this beautiful animation of Carl Sagan's "Pale Blue Dot" meditation on Earth's place in the cosmos. 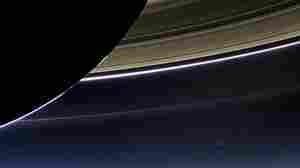 July 22, 2013  In a stunning photograph taken by the NASA spacecraft, Earth is seen alongside Saturn's rings. 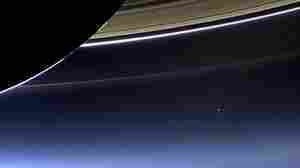 It's a photograph reminiscent of the image taken in 1990 by NASA's Voyager 1 spacecraft.